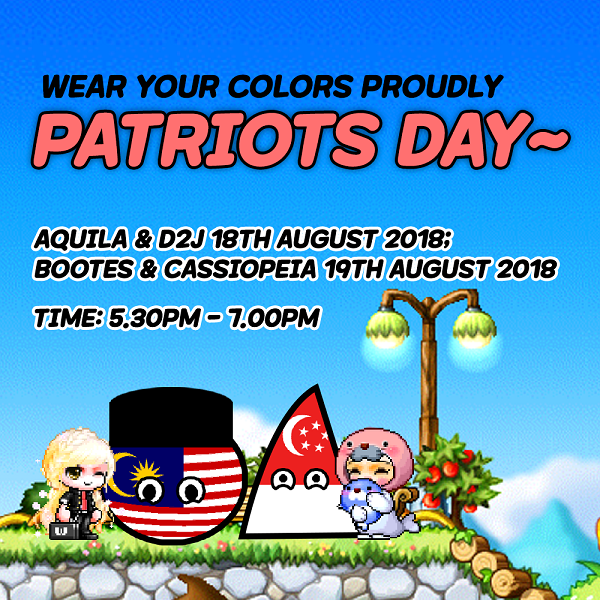 Are you ready to celebrate the glory of two nations during this auspicious month? • Gamemasters will do a megaphone shoutout in-game before they host their respective events, so keep your eyes out for them! • Participation is open to all! Here’s wishing both Singapore & Malaysia a Happy National and Independence Day! How well to best represent your country than to wear its colors gloriously? Wear your colors with pride! Have you ever wanted to travel to Malaysia/Singapore? With MapleStorySEA, you can! 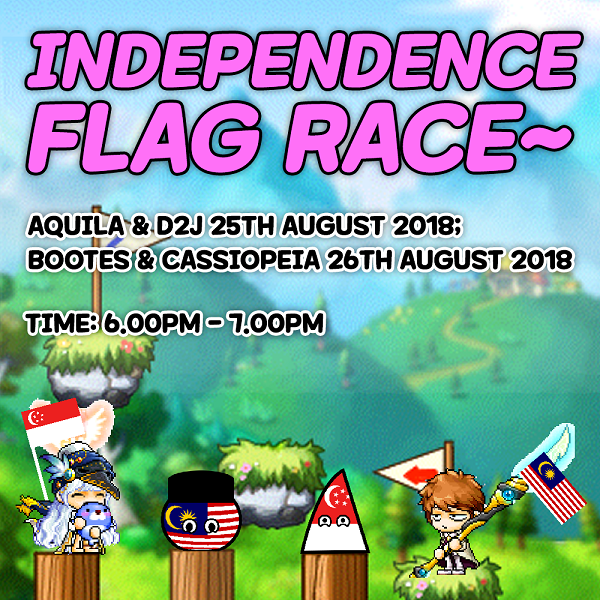 Our GMs will be bringing Maplers through a guided tour of Singapore & Malaysia in game!